If you have children, you already know it’s tough to keep your home clean. 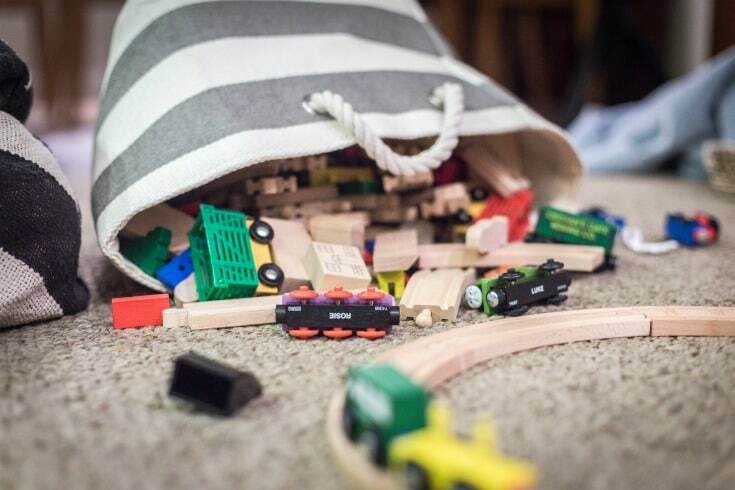 Here’s how to keep a tidy home with kids! Spent. After another day home with my son and daughter, our house was in shambles. Toys were strewn all over the floor. Half-emptied sippy cups were left on end tables. Today’s and yesterday’s mail was piled on the table, right along with picture books from the library and scribbled-on coloring pages. It was time to cook supper, but I still needed to search my cupboards to see what I could throw together. I was absolutely exhausted, yet couldn’t put my finger on exactly what I had done that day. My home looked like a wreck, I felt like a wreck … and tears stung my eyes as I realized I didn’t have a clue as to how I could break this cycle. If you’re in the middle of raising little ones, you can relate to my situation all too well. Kids naturally are messy. And if you’re not following after their every move (who has time for that!?) your house will end up messy. It’s incredibly important for you to remind yourself that this is just a season. It won’t last forever. But when you’re living through the mess, it’s virtually impossible to take heart in knowing that it’s just a season. 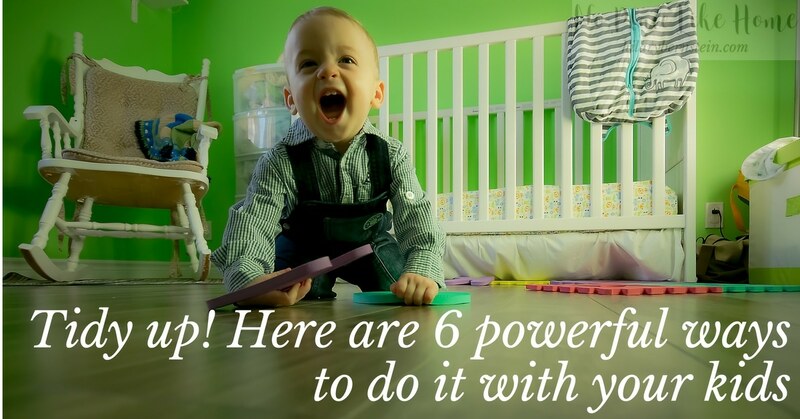 So what can you do to try to manage your home with little ones around? I’ve tried a lot of different possible solutions – and have experienced both failure and success. 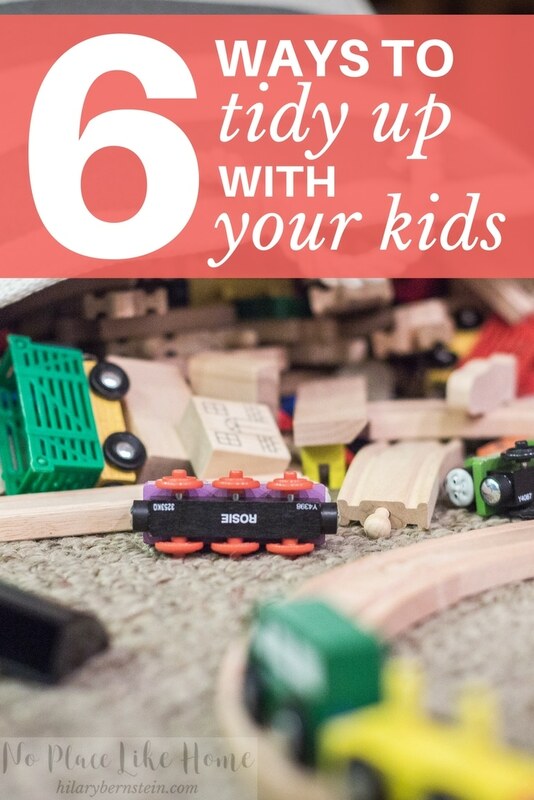 I’d love to share with you 6 powerful ways to keep a home tidy with kids. 1. Get into a routine. The very first way to begin keeping a tidier home – with or without children – is to get into a daily routine. Know when you’re going to accomplish things around your house. Know what basic chores you need to do each and every day. And plan when you’ll do them. As you get into a routine, it will be much easier to actually work on your chores. Without a routine, it’s easy to push them aside until later – yet all that ends up happening is your chore list gets longer and longer as the day goes on. The easiest way to keep a space clean – whether it’s a desk, a room, or an entire home – is to have less in that space. When you have too much stuff, all of that stuff will begin to overtake your home. If you aren’t careful to put things away right away, the mess will spread and spread. To avoid this issue completely, start decluttering. It might be tricky to find time to do it if you have little ones running around, but make the time. It’s worth it. 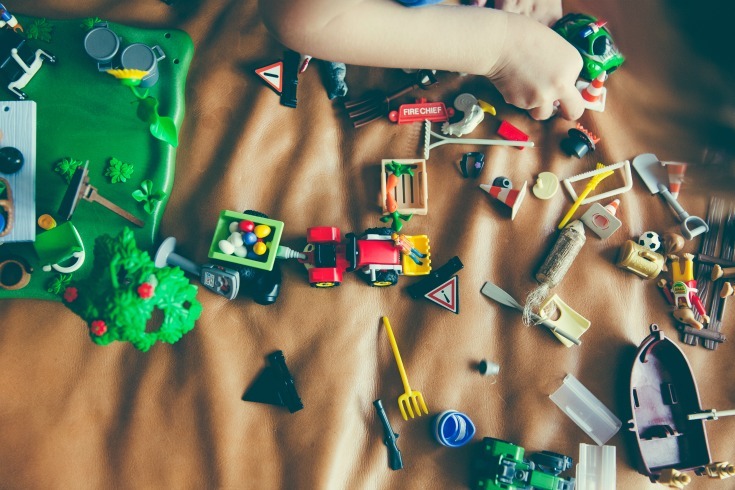 If your home looks and feels filled with kids’ stuff, it’s time to start decluttering. Box away clothes or toys or books or hand-me-downs until you know you’ll need them. If you know you’re finished with something, get it out of your house. Be willing to part with your belongings since it’s just stuff. Keep what you absolutely love or need, and get rid of whatever you don’t. While you’re decluttering, you might feel guilty or wasteful. But if you know all of that excess stuff is cluttering your mind, your time and your home, it’s better to get rid of it now. Pass it along and bless someone else. Once you do, your home will have much more space and much less stuff. This will make cleaning so much easier. I promise. 3. Keep things contained to certain rooms. One easy way to keep messes from spreading throughout the whole house is to keep certain things contained to rooms. Make sure only kitchen belongings are in the kitchen. Keep bathroom belongings only in bathrooms. Know where you’d like to store books or toys and keep them in those locations. While I’ve changed up the designated spaces in my family’s homes, my kids have learned to keep certain things in certain rooms. When they were younger and couldn’t entertain themselves in their bedrooms, we had certain toys for the living room and certain toys for their bedrooms. Now, they know toys stay in their rooms – if the toys end up somewhere else in the house, my kids have to take them back to their rooms. By keeping certain belongings in the rooms where they’re most needed, it helps contain the spread of clutter and mess everywhere in your home. This trick isn’t just for kiddos. It helps me contain my own messes when I need to remind myself where certain things need to stay. 4. Devote time each day to picking up. No matter what’s on your schedule, it’s important to take some time out of every single day to do a quick pick up around your house. If your home’s a mess, though, it’s wise to spend a little time each day in actually cleaning up a space and then maintaining it by daily pick-ups. You need to do it anyway. Do the daily clean up – and as soon as they’re old enough, get your children involved. They may not do all of the cleaning, and that’s OK. But do get them into the habit of cleaning up after their own messes. It’s completely up to you and your household to figure out how many times you want to pick up. Some moms insist on toys getting picked up before getting anything else out. Other moms don’t. Depending on your messes – and your cleanliness preferences – you may want to schedule a clean-up before lunch, dinner, and bedtime. Right now, it works really well for me to do a bigger clean up in the late afternoon – after our homeschool day is done and before my husband gets home from work – and then a smaller clean up before bed. Whatever daily clean-up schedule you find works for you, do it. 5. Start teaching your kids how to clean. With kids, it’s vital to remember that on their own, they don’t know how to clean. We’re not born with an innate sense of how to do housework. It’s all a learned behavior. And it’s something that needs to be taught. Because of this, we need to be diligent to teach our children how to clean. And we need to teach them how to clean up after themselves. 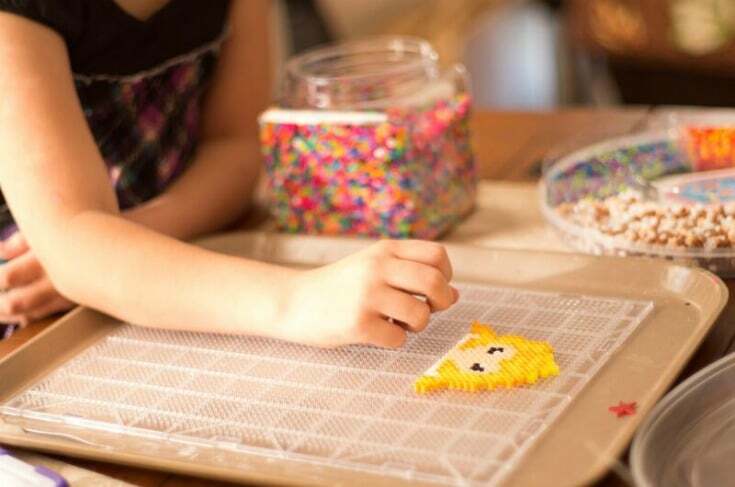 This can be done by modeling and helping and giving specific age-appropriate chores. It can be frustrating when you know that you’ve taught your child how to clean a specific area and they forget what to do. Keep teaching them. With repetition and practice, they’ll eventually remember. And the older they get, the more capable your kids will be to do real cleaning chores. During certain stages, your children will be more willing to help out – and during other stages, they might fight it. When they want to help you, use these moments to your advantage. Let them help you. Willingly teach them what to do. And when they don’t want to help you, use some tough love to make sure they’re still pitching in around the house. 6. Give yourself – and your kids – plenty of grace. No one’s perfect. Yet as moms, it can be easy to fall into a perfectionistic trap of doing chores on our own because our kids’ attempts aren’t exactly the way we prefer. It might seem better to just do something yourself because you know it’s done right. But make sure you’re giving your children a chance. So my home that looked and felt like a shambles? I definitely lived through a season of a couple years where that unbearable mess was my daily battle. (And some busy days it still is!) Most nights I fell into bed feeling spent and wondering what in the world – if anything – I had accomplished. Between that season of frustrating despair and today, I’ve gotten into a daily routine and rhythm. I keep decluttering and making sure things are contained to certain rooms. I spend time picking up each day. I’m trying to teach my kids how to clean more and more each day. And I make sure to give my kids – and myself – plenty of grace as we learn and live together. Want to get started on a decluttering process in your own home, but feel like you have no time? Click here to download my free checklist, 25 Cleaning Projects You Can Do In 10 Minutes Or Less. As you sign up for the checklist, I’ll also e-mail you decluttering encouragement and cleaning tips.